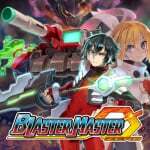 Blaster Master Zero is among the first post-launch games releasing for Nintendo's new hybrid console, the Nintendo Switch; it follows a fairly strong launch lineup with several fantastic titles, such as FAST RMX and Shovel Knight: Specter of Torment, and of course the historic The Legend of Zelda: Breath of the Wild. The question of course, is how does Blaster Master compare to those titans? The answer, perhaps unsurprisingly to those acquainted with the series, is quite well. Blaster Master Zero feels less like a proper prequel or sequel and more like a reboot for the series; in that sense the name absolutely makes sense. In it, as with the original Blaster Master for the NES, you'll be in control of Jason as you search for your pet frog, Fred, only this time Fred is a mysterious frog-like creature that seems to be able to travel between dimensions, rather than becoming mutated by radioactive materials. When Fred leaps through a wormhole, Jason follows him where he finds Sophia III, the game's iconic vehicle. From this point forward the game reveals its true nature as something of a unique type of Metroidvania title. There are essentially two modes of play, the overworld exploration elements which are largely vehicle-based, and on-foot missions where Jason must leave Sophia III behind and enter small caves and such. In those missions, the view will switch from the zoomed-out landscape to a top-down perspective with a much tighter camera angle. The sprites feel less like an NES game in this mode and more reminiscent of something one might see on the Super NES, but still decidedly retro. Both modes control similarly. In Sophia III you can tilt your main gun left, right, up or diagonally; the only direction in which you cannot fire is down. The control layout is simple, with the Joy-Con's four face buttons dedicated to shooting, jumping and interacting with objects. Pausing the game will bring up a menu where you can switch weapons in both Sophia and on Jason. Tapping the SL or SR buttons on your Joy-Con will allow you to quickly cycle through weapons, similarly to how the Mega Man series handles the mechanic. The way in which weapons are handled is quite interesting, in that the level of your weapon is determined by how much damage you've taken in your travels; the more damage you take, the lower your weapon's level. As your weapon's level lowers, you will lose access to some of its more high-powered functions, like the flamethrower. Speaking of control schemes, Inti-Creates opted initially not to include support for the Switch Pro Controller. As of this writing this means playing Blaster Master Zero in portable mode, docked mode with both Joy-Con functioning as a single controller, or turned sideways as they are with Snipperclips - Cut it out, together!. The developers have already promised an update one week after launch to add Pro Controller support, though we had no issues using the Joy-Con to play the game. The core gameplay, moving beyond the controls, is centered around exploring this mysterious dimension to find Fred. To accomplish this task you'll follow your radar, which is located in the upper-right-hand corner of the screen and will begin to make noise when it detects Fred's signal. Chasing the signal often results in a false alarm that will lead Jason in to a cave or structure that houses not Fred, but an upgrade for Sophia III. You'll rinse and repeat this until you've made your way through all of the game's four areas, untangling the narrative all the while. There's room for a second player as well, but we often felt having another person joining us did not add much to our sessions. Multiplayer is couch co-op only, and the second player is put in charge of an on-screen reticle that will allow them to fire shots at any enemy on screen regardless of the first player's position. It can be helpful at times, but it never feels truly necessary as the game isn't all that difficult. Blaster Master Zero is a lovely addition to the Switch's library. We suspect that it will help to fill the gap between major retail releases for anxious Switch owners looking for a low-impact game to play on the go. As Blaster Master Zero features simplistic visuals, we were able to squeeze some extra battery life out of our Switch while playing it when compared to some of the more visually intense titles already on offer. If you've finished your launch titles already, or are just looking for something new, we highly recommend Blaster Master Zero; it's a great homage to the original and one you will have a blast (sorry) playing. Very tempted. Bit of a 'lite' review - suggests this is only a short experience. What sort of duration should I expect from it? Hope to buy this on release, although I hope that patch comes out prior to European release as I wanna use a d-pad. "Multiplayer is couch co-op only, and the second player is put in charge of an on-screen reticle that will allow them to fire shots at any enemy on screen regardless of the first player's position. It can be helpful at times, but it never feels truly necessary as the game isn't all that difficult." And that, ladies and germs, is why I won't be touching this title. It's not a game that has a ton of appeal to me so I'm not sure that I'll end up picking it up, but the price point has me a bit more tempted than I would be otherwise. All the other eShop games I'm interested in so far cost more than twice as much. @gcunit What about the review being short suggests it will lack content? I don't follow that logic. I really enjoyed the first one back on the NES. Once it's got Pro Controller support I'll grab it. Fan of the original NES game, so I'll be getting this - the trailer looks great. Shame there's no demo, but pretty sure I'll enjoy it and it's hardly premium price. I had this game for a week now. It is a quite fun Metrodvania. Very NES-like right down to the cheating enemies. For me it is nothing special, but I'm sure some will dig it. Looks really fun from the trailer and at £8.99 I am sure I will cave in sooner rather than later. I'm not actually able to pick this up today because it is still in the "Coming Soon" section of the eShop with no option to buy. Does anyone else have that issue? @Steve_Bowling Will there be a separate review for the 3ds version forthcoming, or can we expect pretty much the same experience? How can any one have finished Zelda already? Not that hard, eh? Are there multiple difficulty modes? Hate to be that guy, but "you're launch titles"? @gcunit I agree, bit of a flimsy review. Sort of reads like it's half finished. How long is the game? Nothing about items or music etc etc. Learned more from the trailer! @Menchi187 Grim, but thank you for letting me know! No disrespect to the author but this is a bad review. It bares touches on whether the game is actually good or not with next to no information on what it does well and what it does poorly. Having read the review I still have no clue whether I might like to get it or not. @Slim1999 If people didn't care what other people thought of games then the industry of reviews would be invalid. You obviously put some stock in this yourself as you're commenting on a review right now. User ratings, customer reviews, feedback sites, forums...all built on the assumption that opinions are valued and that a lot of people are interested in them. Does that make all the people who use these things pathetic? "If you've finished you're launch titles already"
Bought the game from the japan store. Took me about 6hrs to complete. In comparison the original NES game takes you about 1,5 hrs to complete. Well worth the money, and there are still some caves and upgrades that I missed, so I will replay it soon. Together with Shovel Knight, this is one of the best new "retro" games out there at the moment. Great controls, fun bosses, and catchy tunes. And I love the 16 bit graphics. What a strange thing to say. Reviews give people an idea of the quality of a product and help to inform purchase decisions. That's what they are for. @erekose200 my point exactly. I'd question the wisdom of anyone who purchased a game without considering reviews first. They're the foundation of the gaming journalism industry. I'll give this a whirl. I'm never sure about following reviews. Everyone bangs on about shovel knight, I finally caved in to try it and I can barely controller the character. Yeh, weak sauce on my player skills but still...not much fun for me . I'll keep at it, maybe it will click. Bad review is bad. That aside, I look forward to the day "Metroidvania" stops being a word. Can we please stop using this ridiculous buzzword to describe any game with even some small amount of non-linear gameplay? To begin with, Blaster Master came out before this word even existed, so it should be simply "metroid clone". For another, I can't help but feel this word should be reserved for Castlevania games following SOTN. Lastly, most of the time this buzzword is used in the entirely wrong context. In this case, Blaster Master is not even remotely Metroidvania any more than Ducktails was. 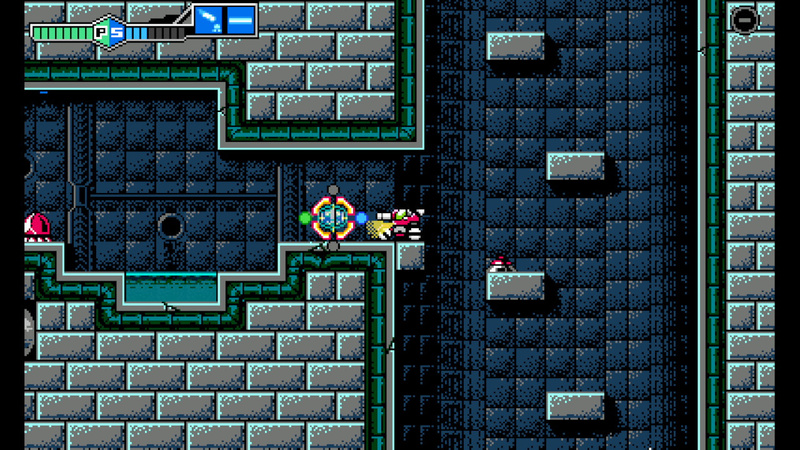 The levels have some exploration, that's about all it has in common with Metroid or SOTN. The game at its core has more in common with Turrican in the sense it's very much still a shooter/platformer with some exploration. 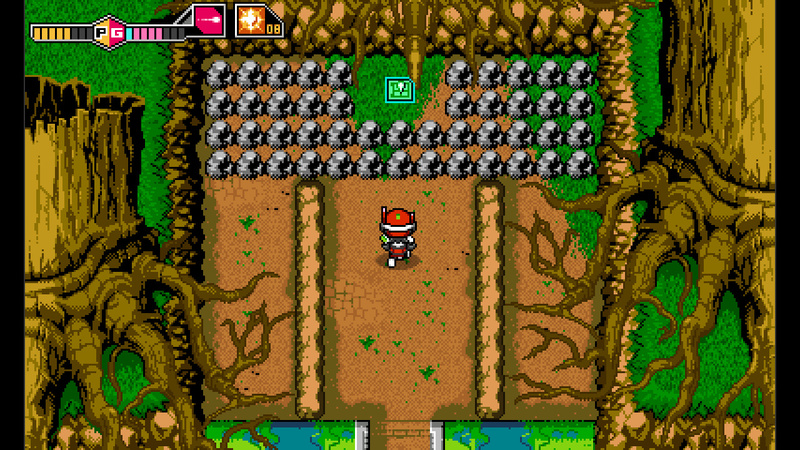 Anyway, with my rant out of the way, anyone who played Blaster Master should get it. Anyone interested should get it. If you're on the fence, this poorly written 8th grade level writing material is not going to sway you either way. The price point is very reasonable though, so you don't have a lot to lose. @Slim1999 Trolling? Is that how you describe asking a question that I didn't know the answer to? agreeing with other that the review is a tad .... bland but if anything it just reinforced my initial thought that this game will be awesome. 4 worlds sounds a bit small but perhaps they consolidated a few of the original into one. In any case I'm definitely buying this — no question. I'm loving what they did with it! Edit: you know .. I don't even recall reading how SAVING works... can you even create save data in this game? @cfgk24 Technically, Zelda can be rushed pretty hard and beaten quickly. Just requires you to be epic and ignore pretty much everything in the game. @Onion I don't feel like you've expressed your feelings. Why you mind expanding on them? Off to buy it now. It was one of my favourite games on on the NES, and one I never could complete because it lacked a password save. I presume this is more friendlier in that sense. Glad to see this get a good review. This will be the first 2D game I get for my Switch. The review is pretty lacking, Destructoid did a solid review I just read. I could never beat the original, so the new map functions are a welcome. @gcunit It depends on how good you are at exploring. I finished the game in about six hours, but I had great luck finding Fred's signal. No mention of how HD Rumble was implemented? Can anyone clarify this? As with just about everything with the switch....I'll be back once I beat Zelda. I'm so downloading this today. $10? Heck yes. Love the original (even though I can never finish it, no passwords/saves = i get bored before i get to the end and turn off NES) but i always find myself going back to it. I really wanted a new game on the Switch this week, but I think I'd still rather FAST RMX or Shovel Knight over this. I think I'll just save my money for now... hopefully Binding of Isaac comes out in Europe too. Preferably in a box. Blaster Master Zero is the title that pushed me over the edge to get a Switch. At the time I wasn't aware that it was launching on the 3DS as well and I had to have me some nostalgic goodness. I cannot wait to play this game! The NES version is in my top 10 NES games, and is always one of my first go-to games when I load up an emulator. @invictus4000 From what I heard, the rumble strength varies depending on the weapon you fire. "If you've finished your launch titles already..."
Great game. 9/10 and i enjoyed it more than 2D metroid games. "You'll rinse and repeat this until you've made your way through all of the game's four areas.."
I just completed Area 8 in ~5,5 hours and it looks like that i got bad ending because i didn't pick up every upgrade. @invictus4000 That was my first thought about the review and the part I wanted to know about most. On my list to buy, when I finally find a Switch. There are lots of Indie games I want on the Switch. @Steve_Bowling The 3DS version has already been released. @ICEknight sorry, I've been so involved in the Switch launch I haven't kept up. We'll get someone on it! No no no Steve, you just can't write "this zero is a hero" without expecting Disney fans to come up with the obvious reference. @WrongChops News flash, we used to buy games all the time before there were reviews. We didn't used to have game reviews and had to judge things by photos and game covers only. Now we can watch videos and figure out if the gameplay suits our style. @Mommar we did? I've been gaming for in excess of 25 years and have always considered reviews. You see, there were these things called magazines, even back then. Besides, Newsflash, I was talking about the present day. Even if people did buy games based on things other than reviews in the past, before reviews were a thing, does that mean we should do that now? I'm failing to see the point of your post. @WrongChops Yes, we did. Even at 25 years ago not every game got a review, and at 36 years ago even less of them did. The point of my post is that I'm capable of making my own choices without some dumb third party telling me what I like. I've played games for nearly forty years, I can tell what's good and what's bad without somebody else telling me what to like. @Mommar I read reviews to make an informed choice. If I bought every game based on someone's recommednation my collection would be in the hundreds, instead of marginally unmanageable. I know what I like and what I'm looking for, so I read reviews to see if I'm likely to enjoy a prospective purchase. If you can tell whether a game is good without reading reviews or considering anyone else's opinion then more power to you, I just know what I'd rather do. One of the perks of modern media is that there's a seemingly infinite number of resources to consider from where making a choice, which is something I'm quite glad of and not something I'm going to ignore, especially because of some antiquated notion that there was a time where reviews didn't exist. And this 'dumb third party' you speak of; you happen to be posting on their site, in the comment section of one of these reviews you resent so much. Which begs the question, what exactly are you doing here? The problem with buying games based on reviews is that the gaming media is extremely corrupt and has been known for years to take money in the form of advertising dollars from publishers for higher scores. Hardly what I'd call a reliable way to plan your purchases in this era of accessible videos. I will say that Nintendolife is generally pretty reliable, but I wouldn't use this review to plan MY purchase. It doesn't really tell you enough. "Blaster Master Zero feels less like a proper prequel or sequel and more like a reboot for the series; in that sense the name absolutely makes sense." It's been said multiple times that this game is a reboot. @Onion Yeah but that's why people should check more than one review and gameplay videos. I mean, even if some of them weren't corrupt, reviews are subjective despite how objective a reviewer tries to be. They are meant to be sources of information, but some people see reviewers af if they are forcing people to buy or pass on a game, which is false. How much you base your purchase on a review is up to you, and it's neither right or wrong. @roy130390 Amen to that. I like to think I have a pretty solid set of review sites and journalists that I look to when games come out that I'm thinking about buying. I even watch reviews for things which I'm unlikely to buy anyway. I just like learning about games. I see reviews more as a source of information and entertainment than something that dictates my choices outright. I'm on my second run through of this game now, I absolutely love it! Definitely worth a punt if you enjoy Metroid style games. Have added this to my "games to get" list, but I don't have a Switch yet. Yeah, for under ten squid it seems like it's well worth giving a go is you have a few bucks spare imo. 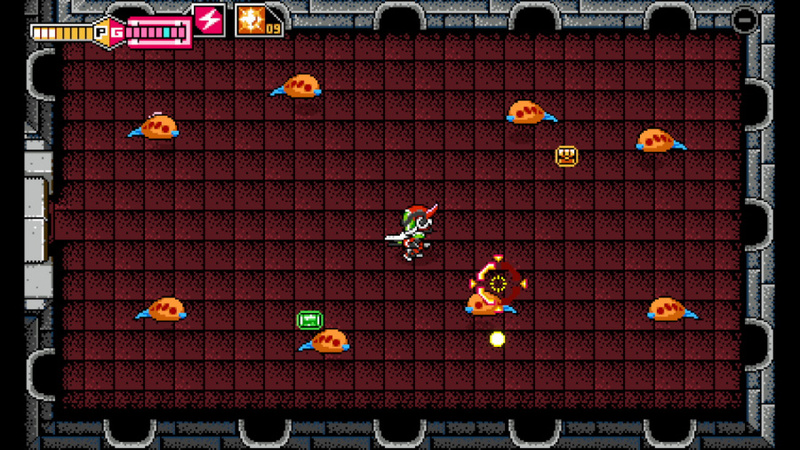 There are nine areas in the game. I just finished it with 100%. I hear the last area isn't accessible unless you have found 100% of the upgrades. Can I review some games here? I've never tried writing a review before, but I'm sure I can do well as long as my goal is to make it better than this one. The bar seems low enough. I completed it, i liked, i think that the valor of this games is between 7.5 and 8. It's a good game, i recommend it.